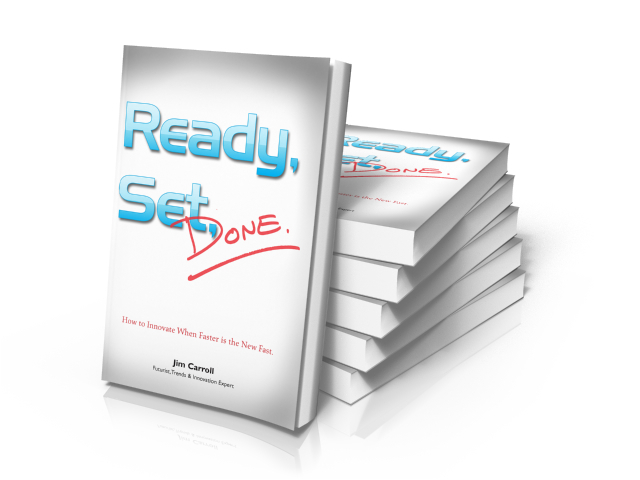 Futurist and author, Jim Carroll‘s book “Ready, Set, Done: How to Innovate When Faster is the New Fast” takes a look at the concept of innovation in new innovative ways. The book helps you understand how to link your innovation efforts to the high velocity change that surrounding us all. Along with the book cover design and design and typesetting the inside text, we helped Jim upscale his brand with new “author as expert” photography.